So 2016 was a whirlwind year. The year in which I turned 40 gave me no time to pursue a mid-life crises, ha! My first priority has been my family. Our daughter (9 years old) enrolled in a Christian school for the first time this year. She is a social butterfly, and flourishes with friends, schedules and structure. In addition to that, we home school two of our boys, and our three year old continues to bring an overload of joy to our family. We launched our new Piano Club, which has done really well. You should join it! In addition, about half way through 2016 I began recording and making YouTube videos of all music I produce on this website. Please check out my channel, and if you like what you see, please subscribe. I expect to continue this with all future projects. So, it has been a very busy year, and I give all the credit to God who has allowed me to keep up at this pace. Continue my current pace of musical output. Perhaps even exceed expectations. There are plans for new piano collections, more duet and duo arrangements, as well as more Flex Instrumental solos. Continue to deliver amazing content for the Piano Club members. Release a new simple series, with piano collections that include arrangements that are easy. 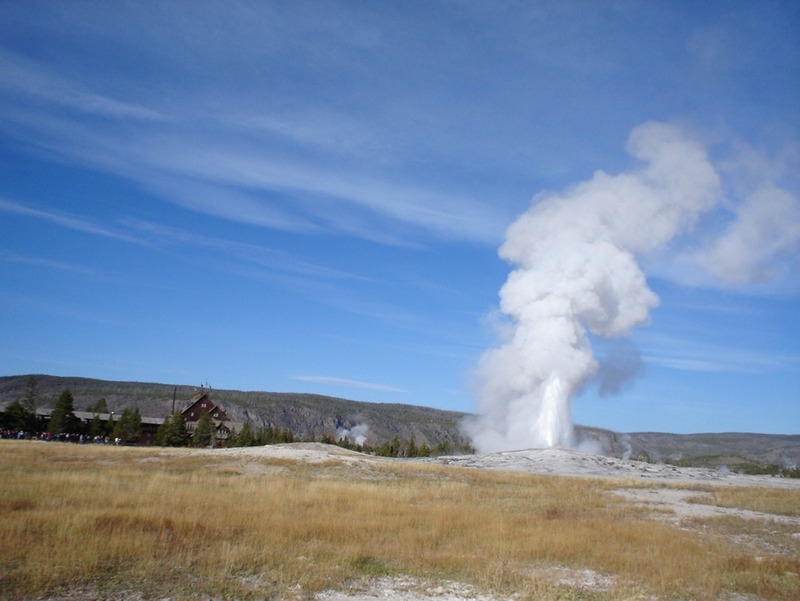 A renewed emphasis on blogging. Let me just park there for a moment. Blogging is, frankly, a chore for me. I find it easier to “do” ministry than to blog about it. But the longer I’m in church music ministry, the stronger my passions in the field have become. There are some things I simply want to say. There are other things that I just can’t figure out, and I’d like your input. I view it as a worthy exercise, and so it’s something I’m willing to commit to do in 2017. I don’t know if it will be once a week or more or less frequent than that. But I do plan on sharing my thoughts more often, and my whole goal is encouragement and engagement. This last month our family celebrated our five year anniversary of living in Georgia. This last week also marked our fifth year at our church. Some would view that as an extensive period of time, especially for someone serving on the pastoral staff team. I don’t see it that way. I have heard it said that the average tenure of an assistant pastor is two years. This seems rediculous to me. I realize God moves people on in His own time (and in His own ways). So I am not critical of someone who felt the Lord directing a move after a sort season of service. It’s hard to sing when you’re going through a trial. When it comes to church music ministry, it’s hard to minister through music when you feel like you’re the one who needs to be ministered to. Here’s a scenario: someone is going through a deep personal trial, and they ask to not sing for a song or service, because they will cry, or because it’s just too hard. I understand someone desiring to not be embarrassed, and I always cut slack to those seeking a break so they can sort things out. But what if there were another option? What if God could actually use my hurt and pain in ways I never thought imaginable? Each week, worshipers sing through tears brought on by the challenges they are facing in their life. In fact, there is rarely a week that passes that I’m not keenly aware of the trials or difficulties a choir member or someone in our church is going through. And yet God graciously uses them in a powerful way for His glory. David faced this challenge when he was running from King Saul who was out for his life. In Psalm 57, he pleads for God’s protection through this trial. (Interestingly, he didn’t ask for God to remove the trial.) He turns a corner at verse seven and reveals his focus, which ultimately enabled him to face the trial: “My heart is fixed, O God… I will sing and give praise.” He recognized that God hadn’t changed, only his circumstances did. I’ve been there. I’ve had to minister through difficult circumstances when I, frankly, didn’t feel like ministering. I can’t explain it, but I know I experienced God’s enabling power to faithfully worship Him. So instead of viewing stepping down as the only option, pray about how God might be able to use your pain to minister to others and glorify God. Isn’t it worth considering? As I talk to church pianists, I try to always stay conscious of the realities of their life. Most of them are parents who are focused on rearing their children. They are usually heavily involved in church activities. In fact, they are very busy with things that are all very important. Many of them feel guilty that they do not have time to practice piano very much. In my opinion, they do not have to feel guilty and I usually find a way to tell them that. After all, it is hardly a stretch to say that rearing children is more important than becoming a virtuoso on the piano. But this issue is complicated. The Bible gives very few specific directives about music, but there are a few. For example, we are called to “play skillfully” (Psalm 33:3) and “make His praise glorious” (Psalm 66:2). That is the balancing act that we are faced with. How can we balance the pressing responsibilities of life with the responsibility to play skillfully in our churches? Neither extreme is appropriate. No parent should elevate piano practice over caring for their children. But on the other hand, no church pianist should ignore their responsibility to practice their skill in order to play as well as they can. In this post, I want to give some thoughts to adult pianists about how you can improve your skill. I also want to give my perspective on what you should focus on learning. You are probably better suited for learning right now than you have ever been. Many good musicians seem to believe that learning stops when college is done. That is simply not true. For decades after college, learning actually becomes easier in many respects. I can honestly say that I am learning far quicker now (in my thirties) than I learned in college. As your base of knowledge grows, your ability to learn grows. So, never give up on learning. Becoming a better church pianist is not a sprint; it is a marathon. Forget about your occasional three-hour practice sessions after the children are in bed. They will not help you very much. I would propose something much easier: play every day. Notice I did not say how much to play every day. If you can only afford to spend five minutes, play five minutes. But try to find a way to end each day a tiny bit better of a pianist than you started. Becoming a better pianist does not happen in a day or a week or even a month. It takes years of a little practice each day. Look for others to learn from. The biggest obstacle in church music is pride. Pride is devastating in many ways, but one thing pride will often do is kill a person’s capacity for improving. Prideful pianists do not think they need to learn from others. They find fault with everyone else’s music and develop an attitude that no one can teach them anything. Don’t be that way. Look for the positives in other pianists’ music and learn from them. Ask them questions. Ask for lessons. I still beg for a quick lesson whenever I can and every pianist I respect is the same way. If you possibly can, take regular piano lessons (I still do that too). Strive to be useful in church. Unless you go to a certain kind of church, practicing Bach inventions has somewhat limited value. I am not saying to never play classical music, but it should probably not be your focus. 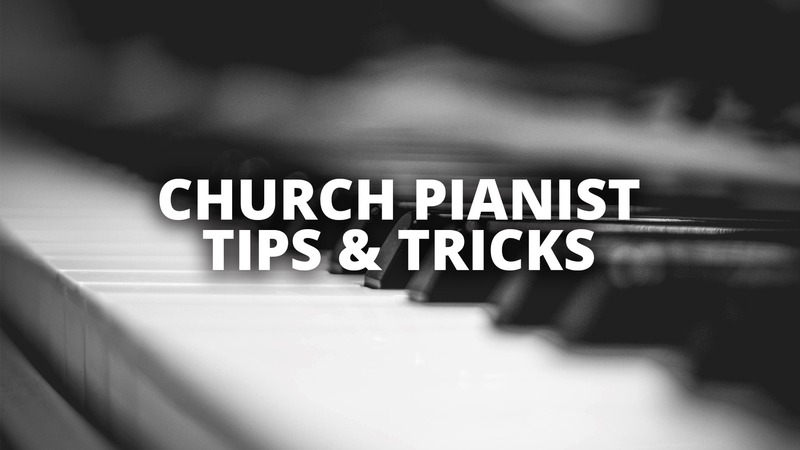 You need to focus on learning how to be good at the skills that church pianists need to have. Those skills include congregational accompaniment, accompanying smaller groups, and playing by ear. You have to be able to play in different styles (sometimes powerful, sometimes soft). You have to know how to transpose, modulate, understand harmony, and many other little things. 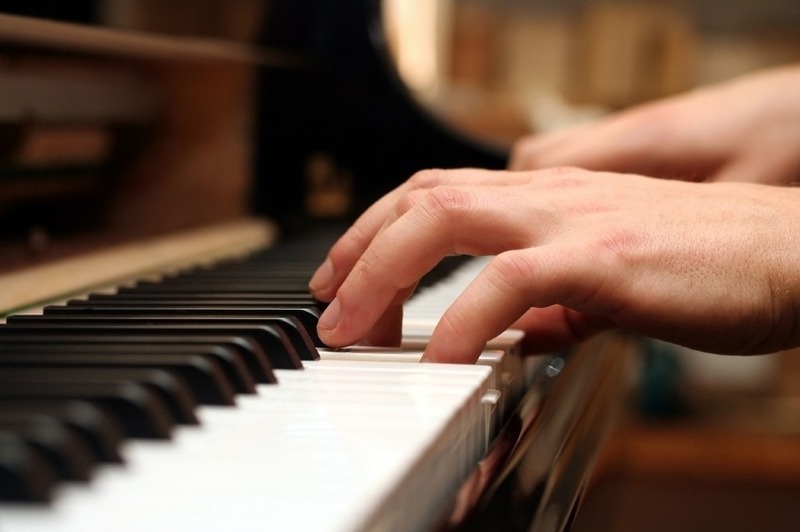 Understand and become proficient in all three ways that people play the piano. People play either by reading notes, by ear, or by knowledge of theory. All three can be learned by all pianists, and church pianists should learn all three. Each has its place in church. They can predict what chord should be played with a particular melody note. They can predict what chord is coming next. They can switch out technical patterns easily based on the underlying chord (for example, they can switch a run slightly to make it more comfortable for their style/hands). They can reharmonize on the fly (spruce up harmony or replace it entirely). They can transpose and modulate easily. Theory is extremely important for church pianists and it is a bridge between playing by reading and playing by ear. If you play only by reading, you can probably learn to play by ear fairly easily if you can lean on theory knowledge. Likewise, those that play by ear can learn to read music quickly by leaning on their theory. You can probably surmise that I think theory is very important. But how do you learn it well enough to start leaning on it in your music? First of all, you need to become aware of it in your music. Start watching the music from a theory perspective. A good first step is to start analyzing the notes you play to figure out what the chord is. Over time, you actually want to start thinking in terms of chords rather than notes. Fortunately, there are lots of helps available today to pianists that want to learn theory. There are plenty of free resources online (including my site www.greghowlett.com). Books and courses are also widely available. But ideally, you need to find a teacher, coach or mentor that understands these concepts. Once you understand theory, music becomes very exciting and new doors will open to you. You will almost magically find yourself playing by ear better and reading music better. These thoughts have not been for pianists that want to play professionally and have hours to practice each day. Rather they are for busy church pianists who just want to continue to improve over their life. Trust me when I say that a few minutes every day working on the right things will pay off. You just have to get started. Eventually, you will be able to look back and see how far you have come! It’s a good question. And it can be difficult to answer. My job involves many challenging and important duties; however, my main responsibility is to get ready for Sunday. For instance, this morning’s worship involved lots of people, and I was partially responsible for coordinating their efforts, rehearsing with musicians, designing the worship order and worship folder, and taking care of many other details. A typical week for me might involve worship planning, staff meeting, committee meetings, rehearsals, rehearsal preparation, long-range planning (seasonal music, future choral presentations, and other special music), project planning (youth choir tour and music camp), administration (writing letters, sending cards and e-mails, ordering music, balancing the budget, purchasing materials, and meeting with tuners and repair persons), practicing, ministry (counseling, hospital visits, visits to prospects, funerals and weddings), continuing education (meeting with local ministers of music, attending conferences, reading, or studying), spiritual development (prayer, Bible study, and meeting with an accountability group), and community service. The real challenge for my job is getting it all done, and the weeks never seem long enough (Bradley, pp. 299-300). This is an exhaustive list, but can you think of anything to add to it? Is it possible to effectively “minister” through music without any distractions? A friend of mine recently encouraged church musicians to avoid as many distractions as possible; to “get out of the way” and let the message (of Christ) go out uninhibited and unencumbered by whatever novelties or dressings an artist might be tempted to add to their song. Noble advice. But is it really possible? I’ll admit it: I’m a very distracted observer of worship music. Sometimes I can get so involved in the harmonies of the song, or the chord progressions of a song, or the part writing of a song, or the instrumentation of a song, or the vocal quality (or lack thereof) of the musician, that I completely forget what the song is all about. Some of that has to do with my training, some of it involves my preferences (likes and dislikes), and some of it (admittedly) involves my mood! That combined with all the other potential distractions during a song (babies crying, people coughing, lights humming, and on and on), it’s real easy to become inattentive to the actual message being conveyed. Here’s my theory: If I (as the observer/worshiper) am distracted, it may very well be my own fault. I’m responsible to discipline my mind so that I am mainly focused on the message, not the vehicle for that message, or any other distractions. But not all distractions are the fault of the listener. There are unavoidable things that will preoccupy people’s thoughts during the ministering of music (like if the sheet music falls off the piano, or if the soloist trips over the microphone cord, or if a bird flies through the sanctuary). The goal of a musician, however, should be to diminish as many distractions as possible. I came up with a list of a few general things that are likely to “distract” your ministry of music. This isn’t a rant; it’s a ramble. It’s all in good humor, too. Maybe you can add to the list. Impress me with your skill and technique. If people walk away raving about your ability, they weren’t ministered to. They were impressed. Is that ever the goal of music ministry? Scare me with your lack of preparation. If you haven’t done enough practicing, please know that I will be on pins and needles the entire time you have the floor. I’d rather listen to a repeat than be troubled with anxiety attacks because you’re not quite ready. Turn me off with your attitude. The world is full of people who are full of themselves. I don’t need to come to church to see and hear that. No show-offs in ministry. Ever. The message of Christ is gracious and pure; you need to be, too. Disturb me with your hypocrisy. If your life doesn’t align with your message, I’m going to have difficulty staying focused. You have to walk the walk. It’s like the parent who said, “Do as I say, not as I do.” (Did a parent ever really say that?) Conversely, and amazingly, people willingly overlook a distraction-filled ministry when the one who’s ministering has a right heart. Funny how we can tell. Let’s commit to ministering without distraction, and when we partake in worship by observation, let’s commit to not allow anything distract us!